I don’t tend to post photos of myself (or other people for that matter) on my blog, but several people have asked to see my Halloween creations, and I am rather proud of what I came up with, so I thought I would make an exception. 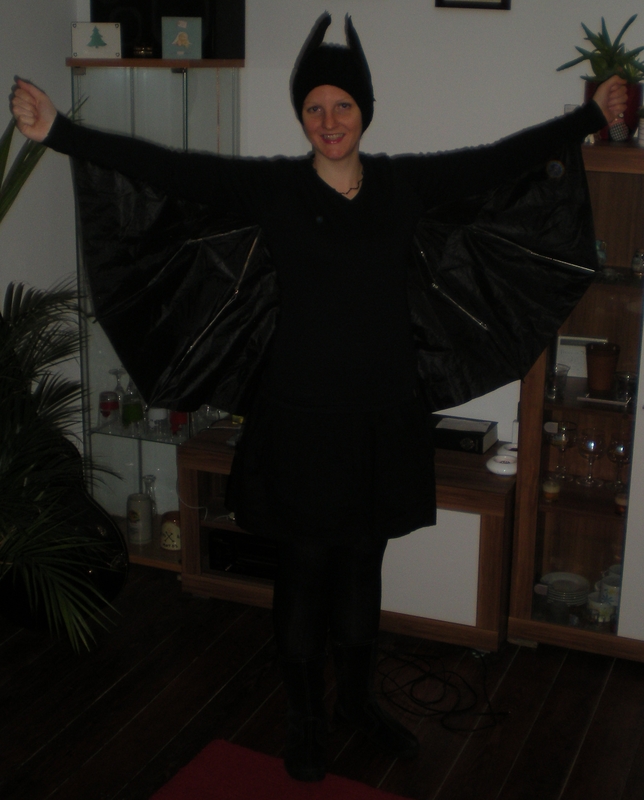 Here I am dressed as a bat, made using a broken umbrella, a black hat, cardboard and some black fabric. (Yes, that is a Christmas card behind me. It’s Jan’s… from last year). 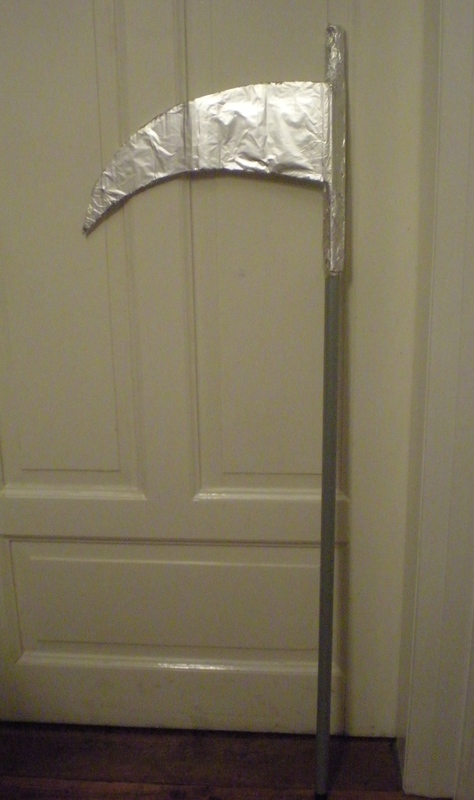 I won’t post a photo of Jan, but I did take one of the scythe I made him for you. As I’m sure you’ve now guessed, he went as Death.